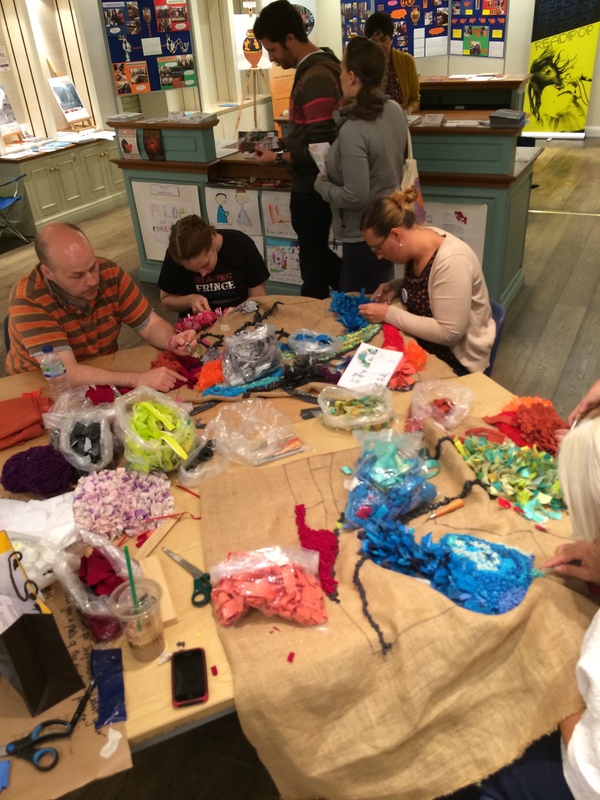 Jelly and the people of Reading made a rag rug for Shopmobility in The Oracle inspired by what Reading folk love about their town. Workshops were held within The Oracle where members of the public joined me and Carli Jordan to create a rag rug wall hanging. 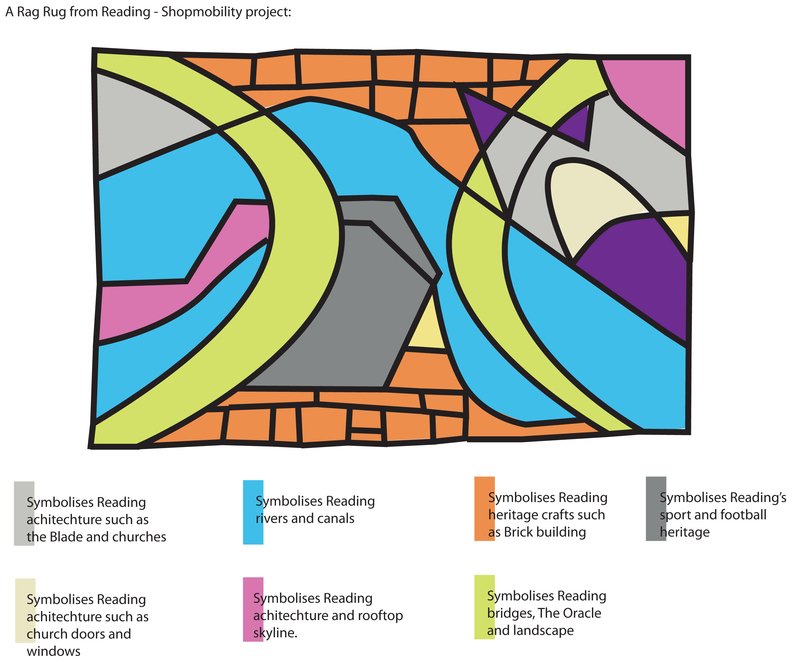 The abstract design features shapes from Reading’s architecture, rivers and landscape, sport heritage and past crafts such as brick building. Rag rugging (also known as Hooky and proggy) is a traditional slow domestic handcraft made up from recycled fabrics and materials. This project is made from recycled t-shirts, bed linen, tablecloths and plastic bags from The Oracle. As people sat in groups to help make this artwork stories were shared, friendships made and new craft skills learnt. 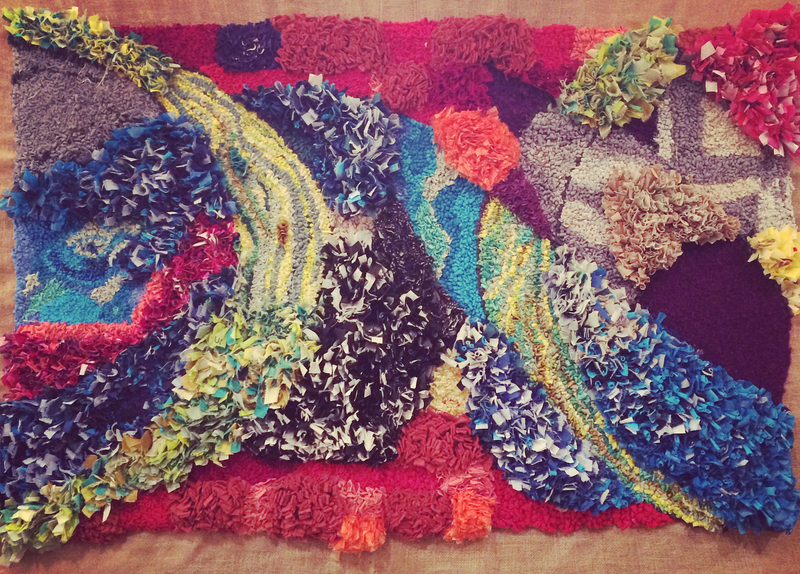 Over 80 people of all ages contributed in making this communal rag rug, which took over 200 hours to complete. The rag rug can be visited any time during trading hours in Shopmobility – 10am to 5pm Monday to Saturday and 11am to 4pm on Sundays. Shopmobility is located within the Holy Brook car park – level one. 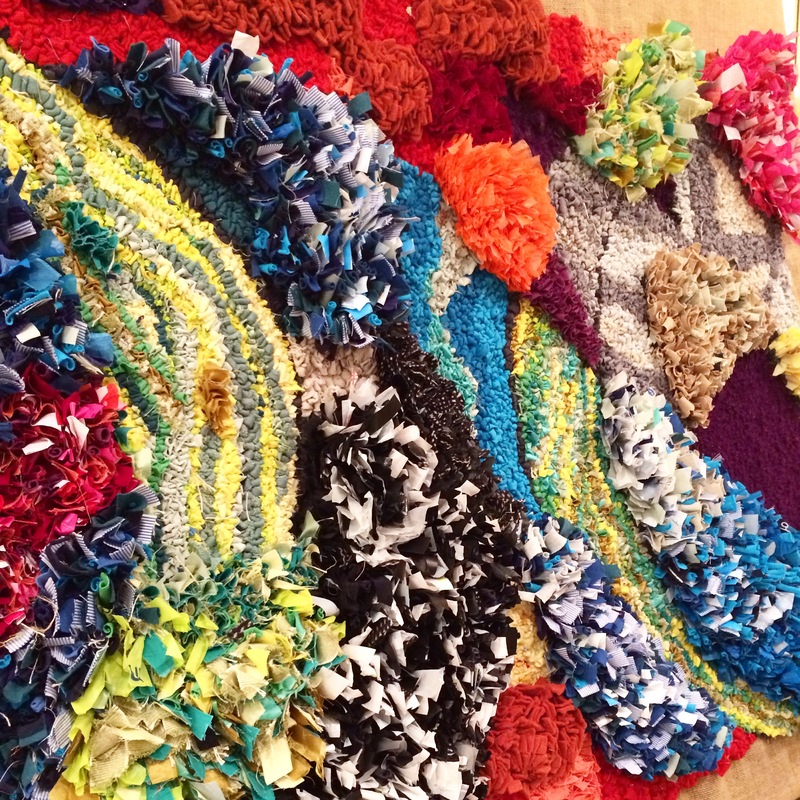 Many thanks to Carli Jordan for all her hours and hours of hard rag rugging work, to Marc Murphy and his team at the Oracle, to Suzanne at Jelly and to everyone who helped us complete the rag rug. This was such a great project to take part in. A sketch showing what the rag rug pattern symbolises. 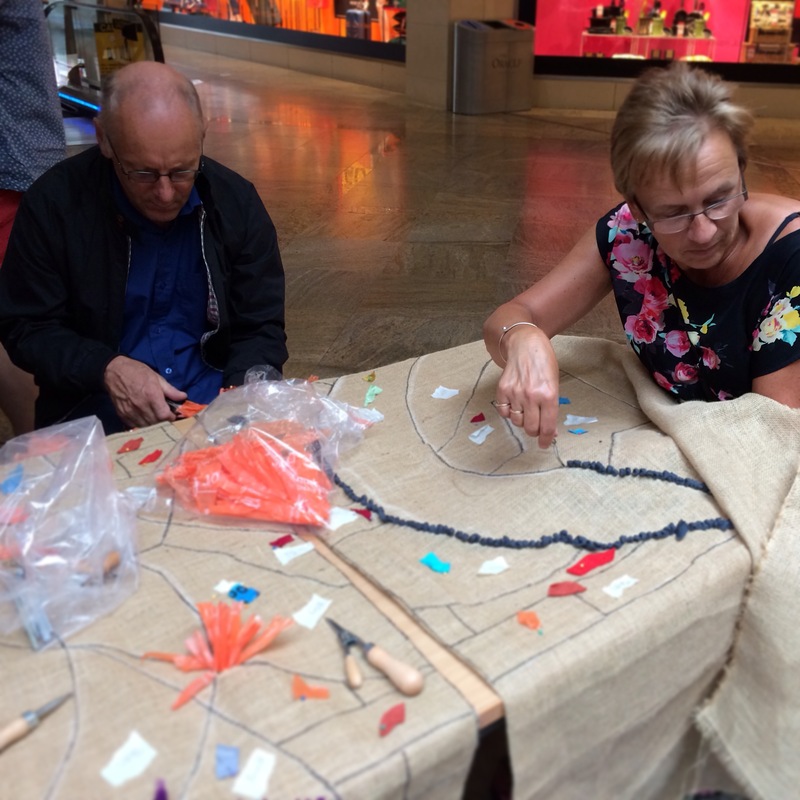 Hard at work – creating the rag rug.